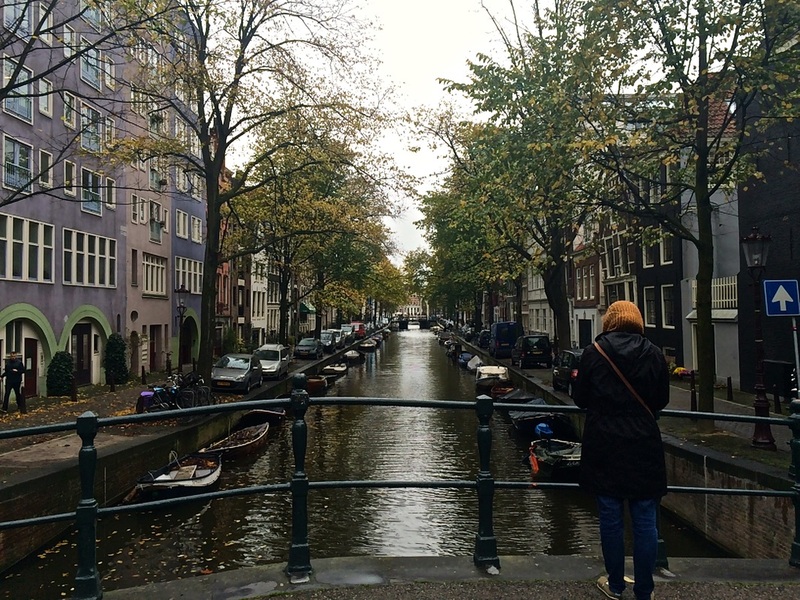 Amsterdam is truly unlike any other city. Often described as the city of sin, it is only sinful of being beautiful. 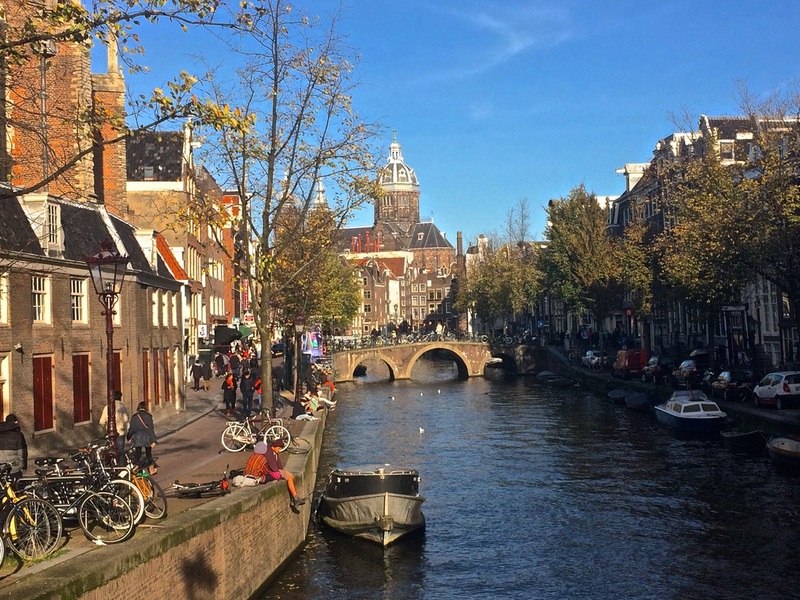 Each canal is unique and extraordinary in its own way. 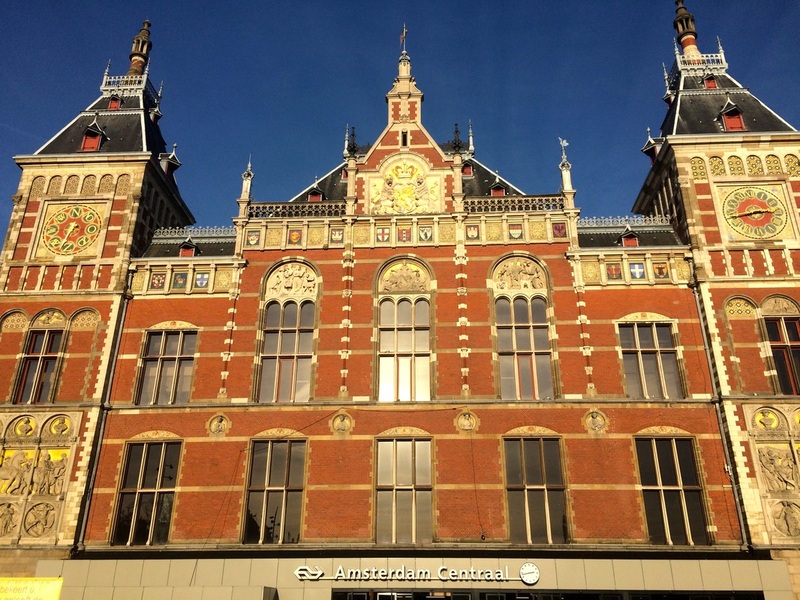 You'll find buildings that are centuries old, bikes, chocolates, bikes, parks, bikes, museums, bikes, sinful shops, bikes, and have I mentioned bikes yet? 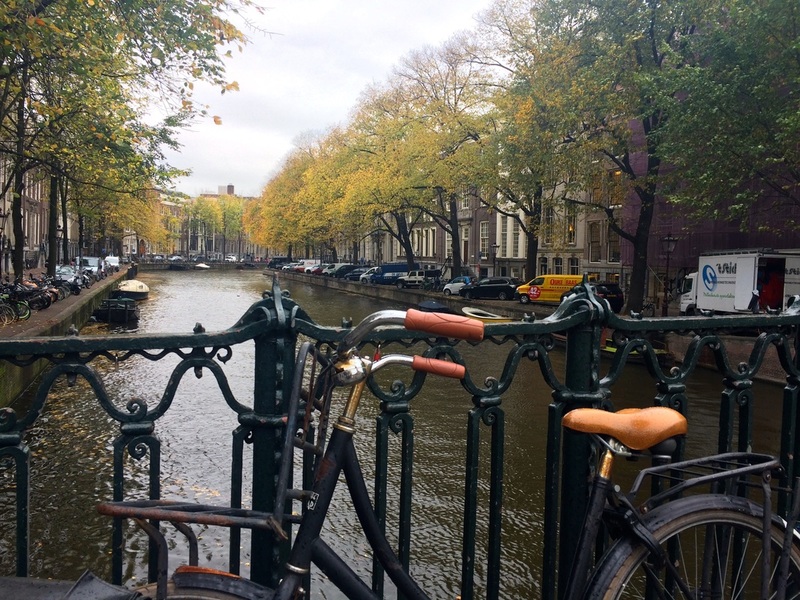 The city has more bikes than inhabitants! 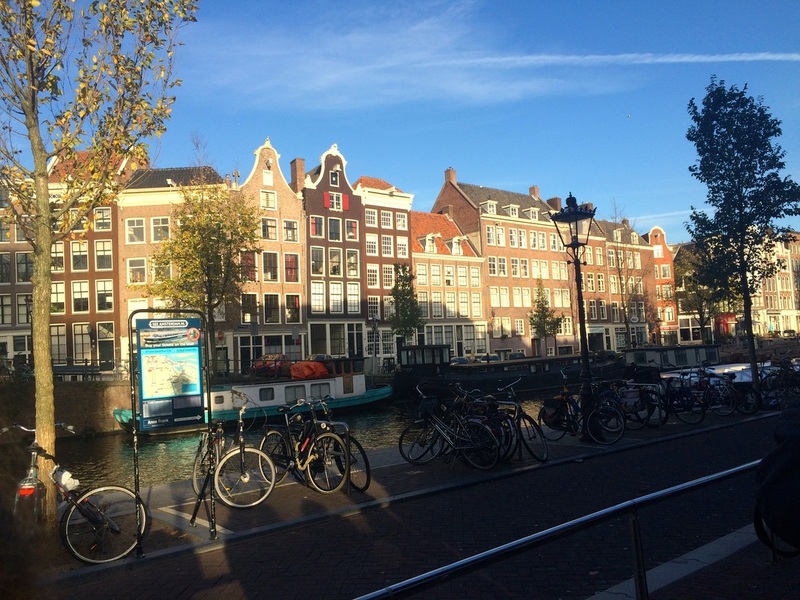 Anyways, here are just a few of the many faces you'll find in Amsterdam. Enjoy! 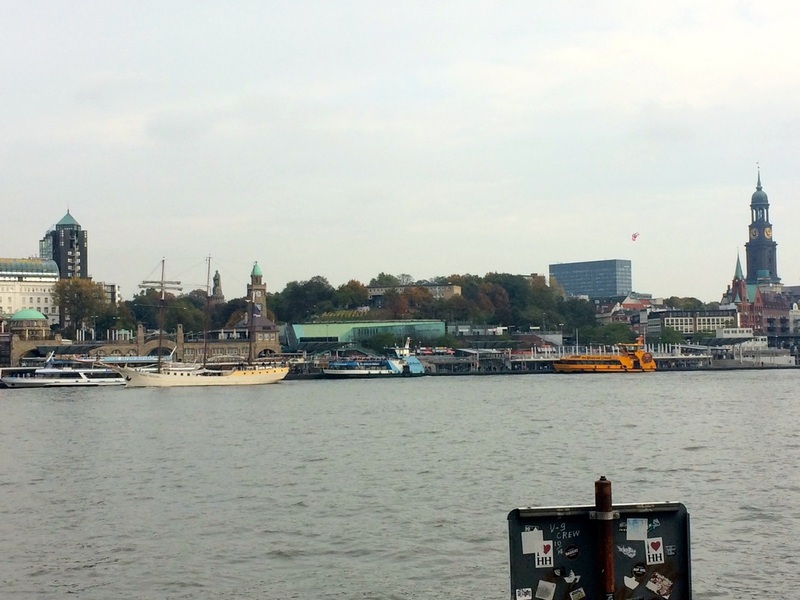 Hamburg, Germany is a vastly underrated city. Historic and modern it meets all of your traveling needs and then some. Maybe I was just in love because it feels so much like fall there and England is just kind of getting dreary without all of the wonderful things fall has to offer. 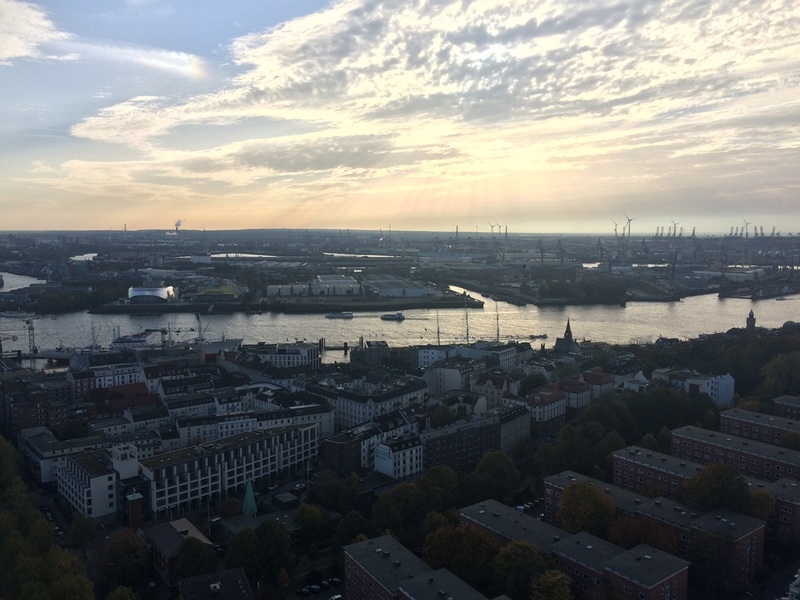 Suffice it to say that Hamburg is a perfect fall get away with beautiful trees, old warehouses, tall churches, good food, and great shopping. 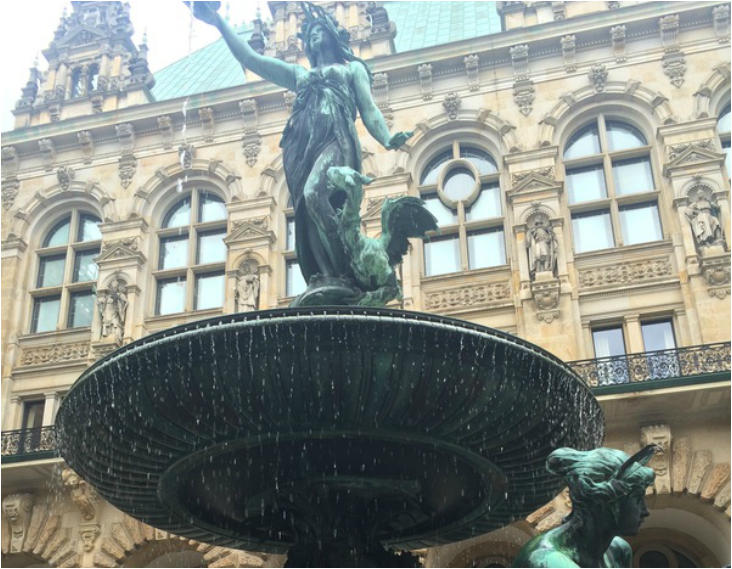 Here are 6 things I loved about Hamburg that you'll love too! You have to try the food. Just pick something, even if you don’t know what it is. This is the best way to get to know a local culture. 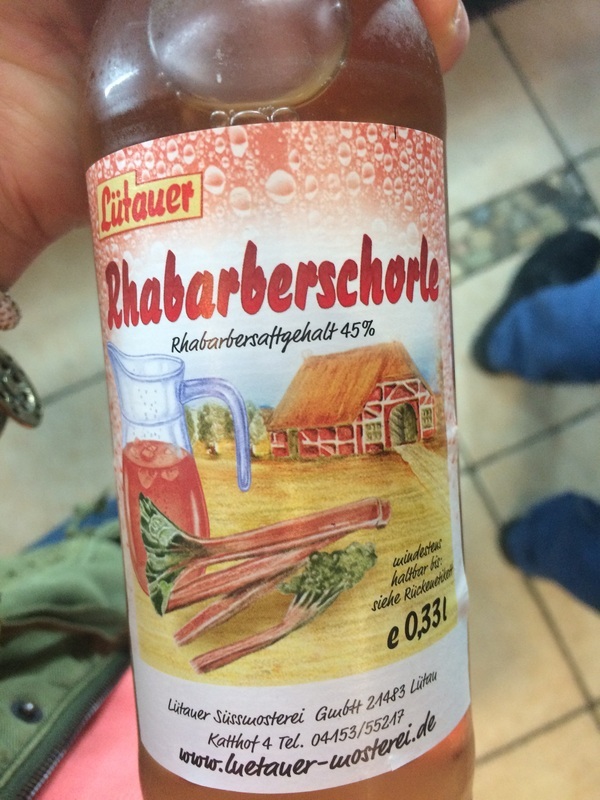 I suggest a warm bretzel (pretzel) or the Rhabarberschorle (rhubarb soda, trust me, it’s good and I don’t like soda). Sternschanze has great eateries where you can get falafels, curry or baked potatoes. I suggest Kumpir König for all those vegetarians. This baked potato bar will meet all of your needs and warm you up on a brisk fall day. 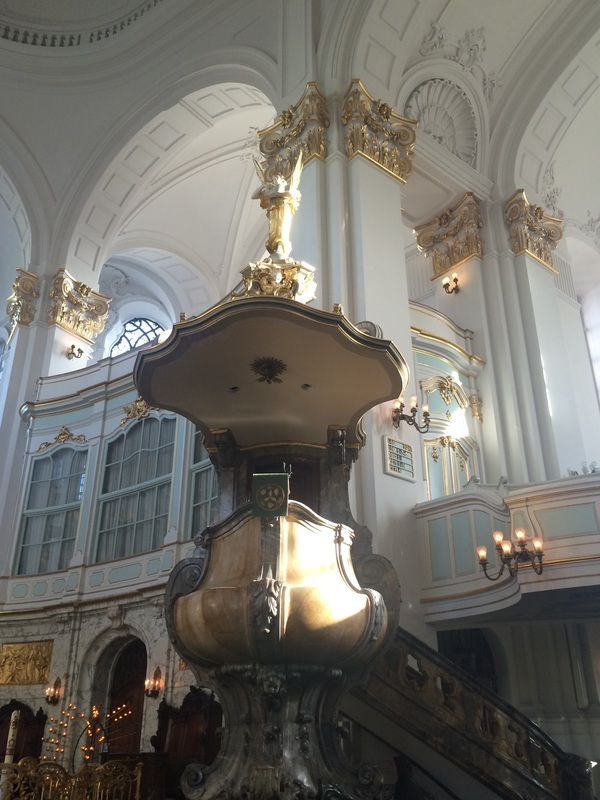 Stop by the St. Michaelis Church and climb the stairs to the top. You could take the elevator, but you probably need to burn some calories from the chocolate croissant you ate for breakfast so opt for the stairs. You also get to see the bells up close in person when you take this route. While you’re there go down into the crypt where over 100 people are said to be buried. 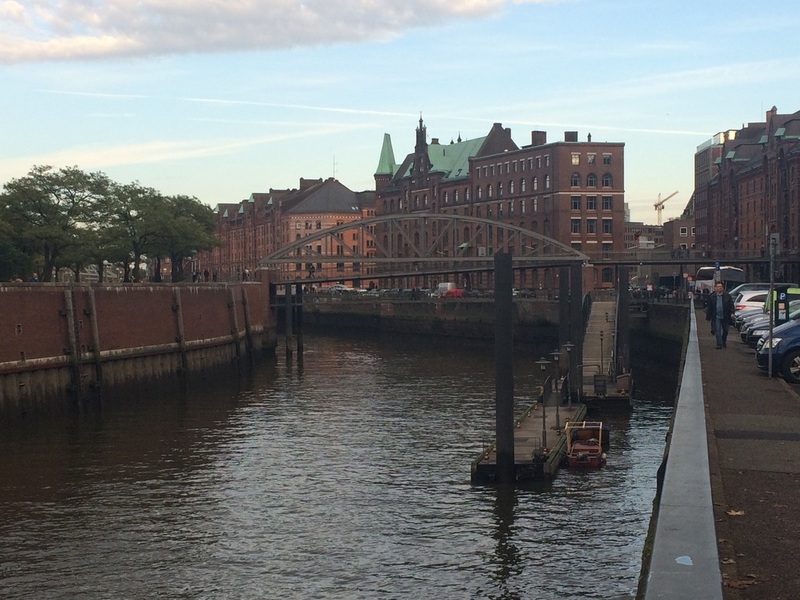 Stroll down the harbor of this historic and modern port city to the Alter Elbtunnel where you can walk beneath the Elbe River. Take the stairs a few flights down, through the river, back up, and turn around to see the skyline. A helpful guide will point out all of the important spires and statues that are scattered throughout the city. 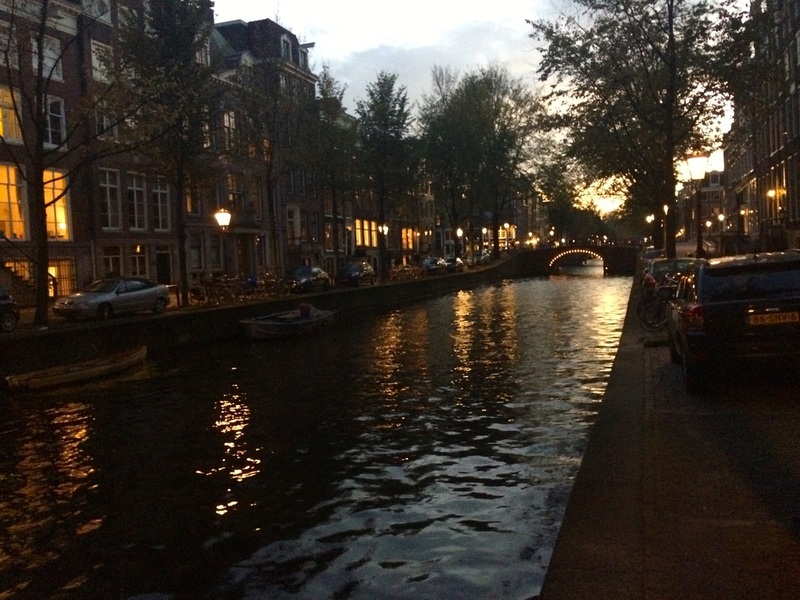 Walk by the canals in the warehouse district (which is the largest in the world might I add). Lined with red brick buildings that date back to the late 1800s and plenty of bridges this is a beautiful walk in the early evening. This is also where you will find the Hamburg Dungeons, Miniature Wonderland, and tickets to the theatre (if you have money to spend on those things). 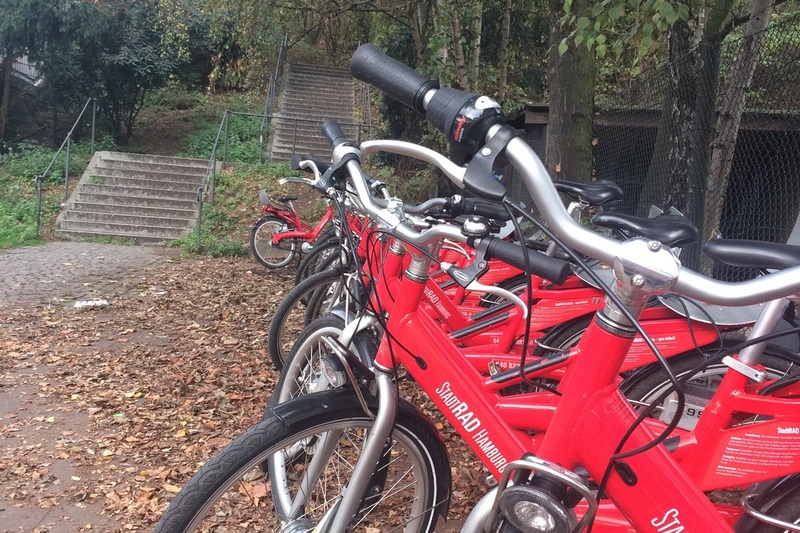 If you have a little bit of free time and some energy rent a Stadtrad bike (they’re the red ones dotted throughout the city) and take a ride around the lake. Be on the lookout for rowers, extravagant houses, and stunning views. 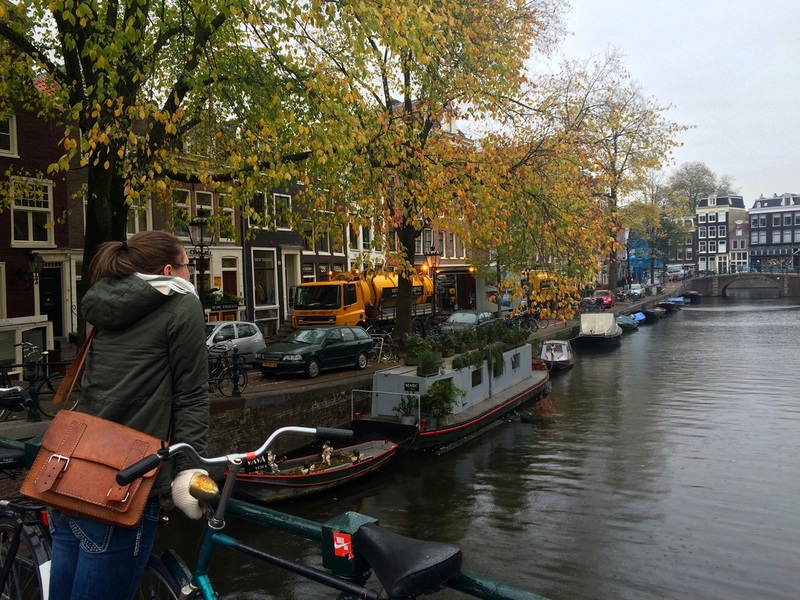 There is no better way to see this city than biking. There are dedicated bike lanes on sidewalks so you can feel safe without riding beside cars. Hamburg is also quite big and a bike is a much more efficient means of transportation than walking or trying to figure out the buses. 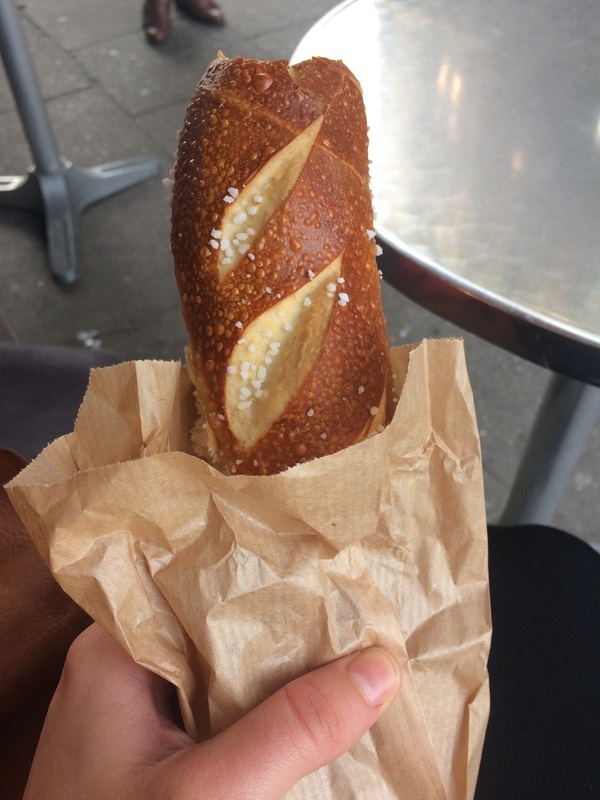 Grab a coffee and pretzel from Nur Heir and then check out the City Hall starting from the back. 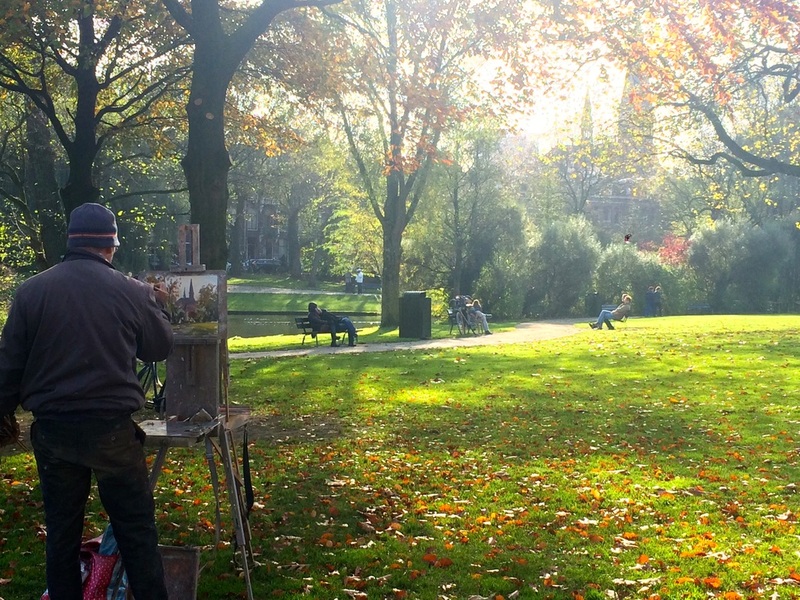 It’s right by Alster Lake and you can take a free(!) self-guided tour of the ornately decorated rooms. Check out the front plaza as well and then shop till you drop at the countless stores in the surrounding area. 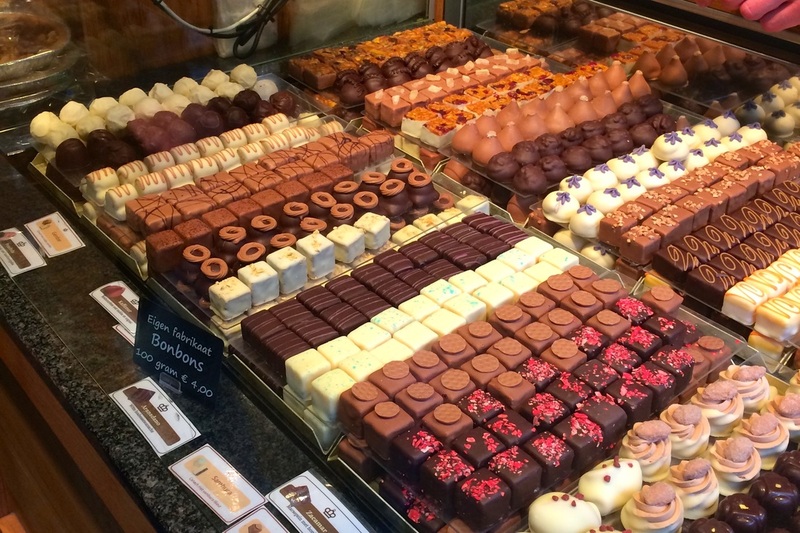 I suggest stopping by the Neuhaus Chocolate store for a few sweet treats. It looks more expensive than it is and the chocolates (and the service) are some of the best I’ve ever had. How do you like Hamburg? Any suggestions on other places I should visit? Covent Garden is a beautiful market a short walk from Big Ben and the river. I discovered a few pleasant (and unpleasant) surprises on my visit. Covent Garden is not only home to handcrafted goods, but to some of the world's favorite luxury items as well. If this is what you're looking for (and can afford it) then you'll love it. If you were expecting a larger range of market stalls (like I was) then you'll be disappointed. London has a lot of areas to visit, but you'll never run out of places to shop. October isn't even over and they are already preparing for Christmas. These gorgeous ornaments are have already been hung from the North Hall ceiling and the Christmas tree is out front waiting to be decorated. Some stalls are selling Christmas wares as well. So don't feel like you have to wait until December to experience Christmas in London. 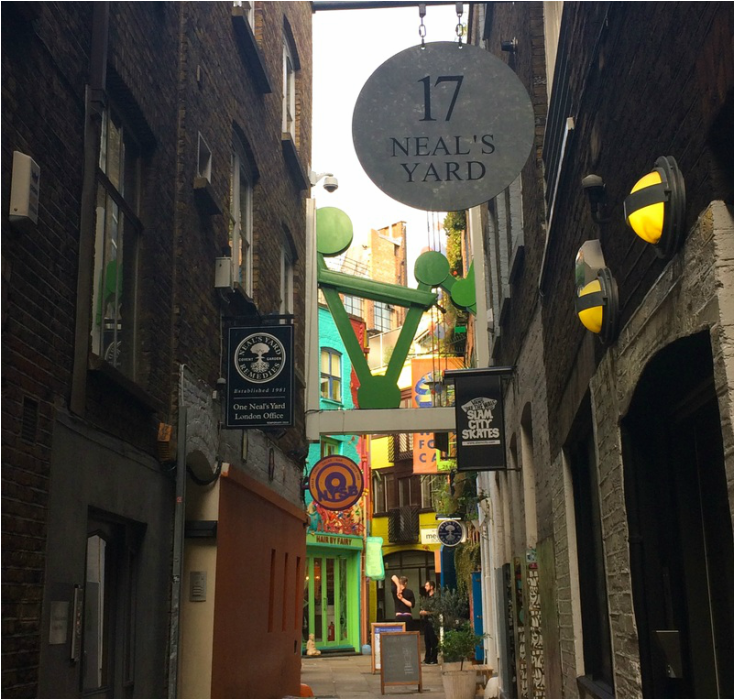 Neal's Yard and Neal's Yard Dairy are a five minute walk from Covent Garden. This small, colorful square is a quiet hiding spot when you're ready to get away from all of the stores. There's not much there except for health food stores and hair salons, but it IS rather lovely. You'll find multiple Waterstones in the Covent Garden and 7 Dials area, but make sure you stop into Stanford's bookstore. They have a a variety of books and unique gifts. 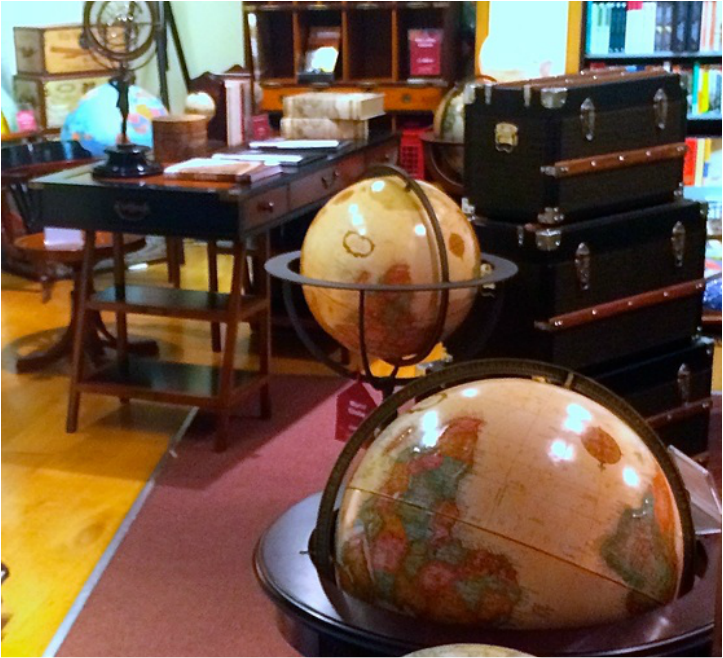 Check out the ground floor dedicated to travel books, maps, and globes. It is a traveler's paradise. While you're in the area make sure to stop by the Moleskine store too (now THATS paradise). 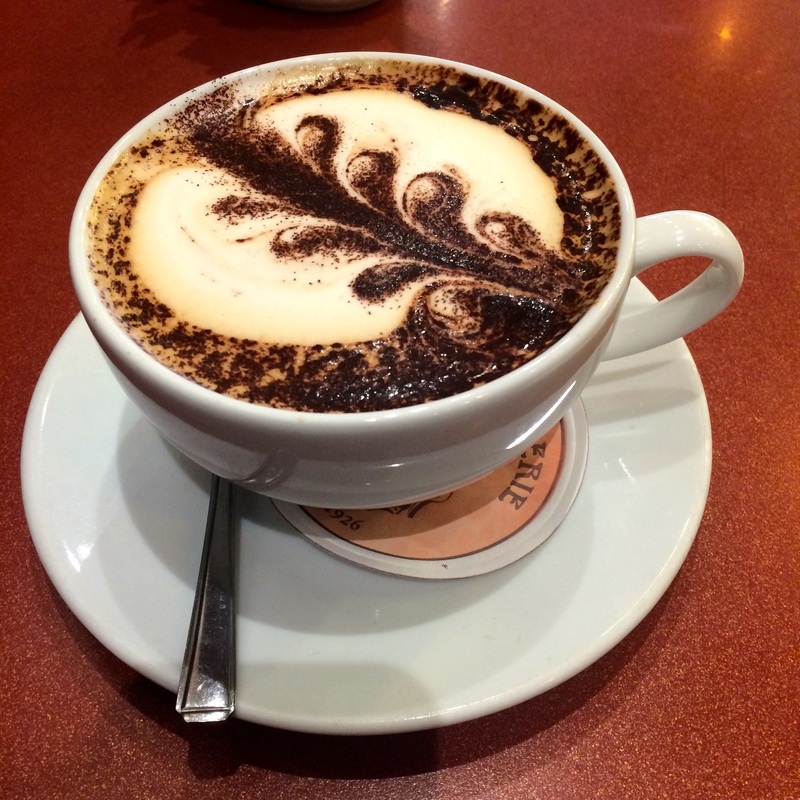 Everyone talks about Monmouth Coffee Company in Covent Garden and Monmouth is good, but make sure you stop by Patisserie Valerie for breakfast or an afternoon snack. The barista actually enjoys making foam designs in coffees (she told me so herself) that we all love. They have amazing croissants (I suggest the almond one) and many other treats. They also serve meals so feel free to stop by and stay for a little while. 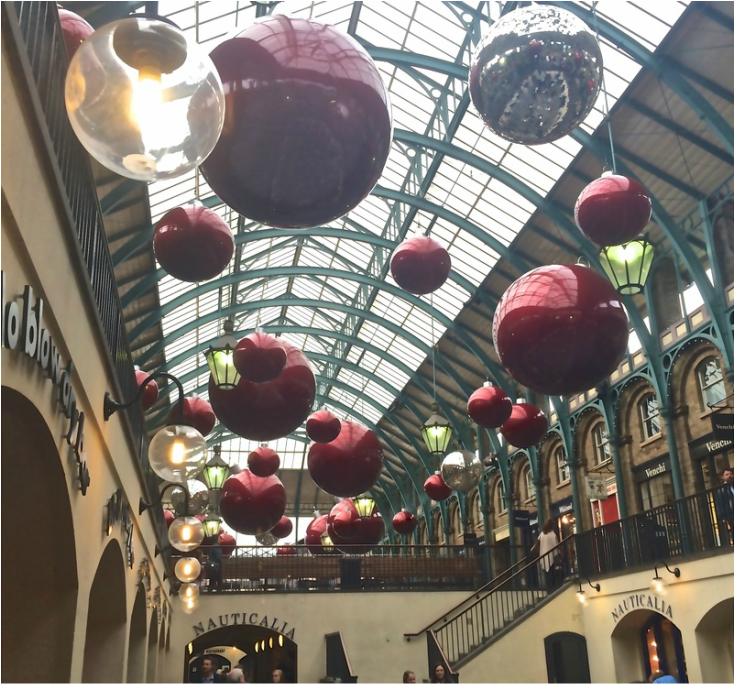 What are your favorite places in Covent Garden or London? Greenwich is the center of the British world. No really...it's home to the Greenwich Mean Time (i.e. 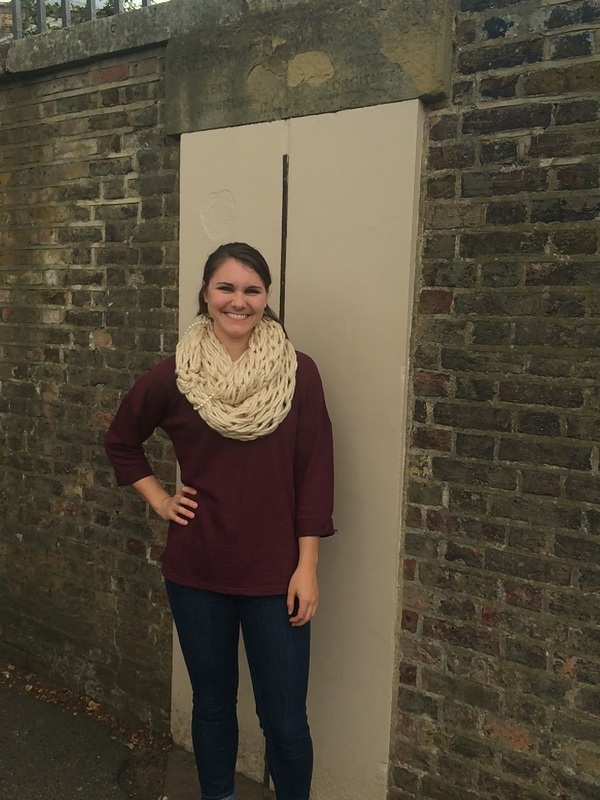 the Prime Meridian). It's a cute little area about 10 minutes outside of Central London by boat. Wherever you are staying in London or Greater London I suggest taking a boat to Greenwich from Westminster Pier (right across the street from Big Ben and across the river from the London Eye) or St. Katherine's Dock (beside the Tower Bridge and Palace Grounds). The boat ride is approximately thirty minutes, but allows you to see many great sights from a different perspective. Big Ben, the London Eye, London Bridge, Ladies' Bridge...all of the other bridges the English seem so fond of building... the Globe Theatre, the Tate Modern and so many other places back up to the Thames. It's worth the small boat fee. If you get on the right boat you may even get a witty tour guide that points out all of the best pubs along the river. Some are over 200 years old! If you're a relatively broke graduate student studying abroad in an expensive city you can walk through the back gate for free. If you approach the observatory from the back there is a small gate where you can still stand in two hemispheres without giving up a tenner. It's probably where people took pictures before Greenwich installed the big metal sculpture in the first picture, but it makes you feel a little rebellious AND its free. So go this route if you're on a budget. Now that you've been in both parts of the world at the same time (and Instagramed it) head into town to check out the market. It's open every Saturday and Sunday and sells everything from fashion to food. Find handmade goods or antique furniture. On your way back to the boat stop by the Pavilion Cafe for an afternoon tea and a scone with jam and cream. It won't break your budget and the scones are a perfect way to end your English day. So it’s been a while. I feel like this always happens. I am officially in England now. Kingston Upon Thames to be exact. About 1.5 hours outside of Central London. The town is much bigger than I thought it was going to be. There are loads of people and the buses run more than regularly. I’m living in a small flat a few miles outside of the town center and we currently have no hot water and only 2 out of 4 of our house keys work. I love it! Bored and tired of running errands I went into THE city the other day. Intending to first stop at Big Ben I got off the bus and, naturally, began walking in the wrong direction. After a few minutes I turned around and WHAM there he was. Nothing like starting off my wanderings with a reminder that I have no sense of direction. I ended up in Green Park (this path takes you by Westminster Abbey and Buckingham Palace) having a lovely latte and wrap from Pret A Manger. This is a very popular organic food chain throughout England. They have all organic coffees and natural foods. You can find them on almost any corner in Central London. With no intentional itinerary (I never have one) I began simply walking until I found a reason to stop. Fortnum & Mason’s department store will give you a reason to stop. It is simply a gorgeous store. No really, the only reason I stopped was because it was so beautiful. I had no idea what it was. They are most famous for their teas and sell a variety of teas, biscuits, chocolates, and any accessory you may need to enjoy these wonderful tidbits. Be sure to make a reservation for high tea at the Diamond Jubilee Tea Salon. No visit to London would be complete without it. After indulging in the elegancy that is Fortnum & Mason’s be sure to stop by the Piccadilly Market. Not quite as elegant, but quite a bit cheaper, this market has friendly stall owners and more unique gifts to take back to the family. I bought an oil painting to adorn my new walls. The stall owner even mounted it right in front of me. On my way back to Big Ben to catch the bus I ran into another American. We’re the only ones who will randomly strike up a conversation with a complete stranger. After I got over my initial concern about his intentions I enjoyed myself. 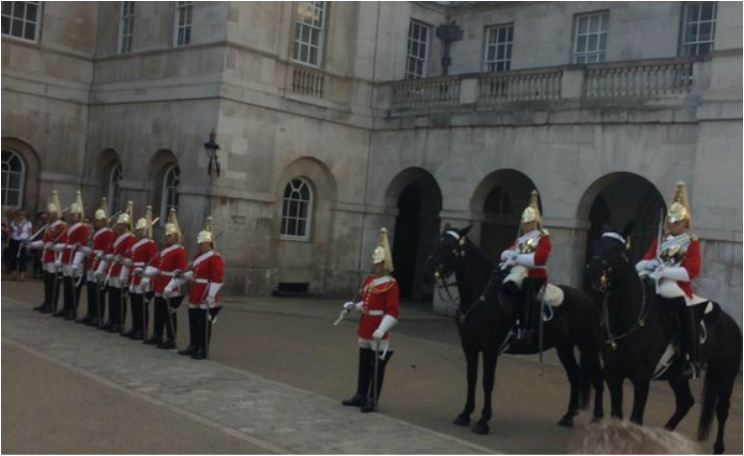 We randomly ran into a changing of the guards. I still have no idea what they were guarding and they weren’t wearing the tall black hats that they wear in front of the palace. We had stopped to look at a guard on a horse and then all of a sudden we were in a flood of people whispering “The guards are changing. It’s four. They must be changing.” We were sucked into these gates and then trapped for the next 20 minutes. I’m not completely upset about it. It was actually kind of interesting. 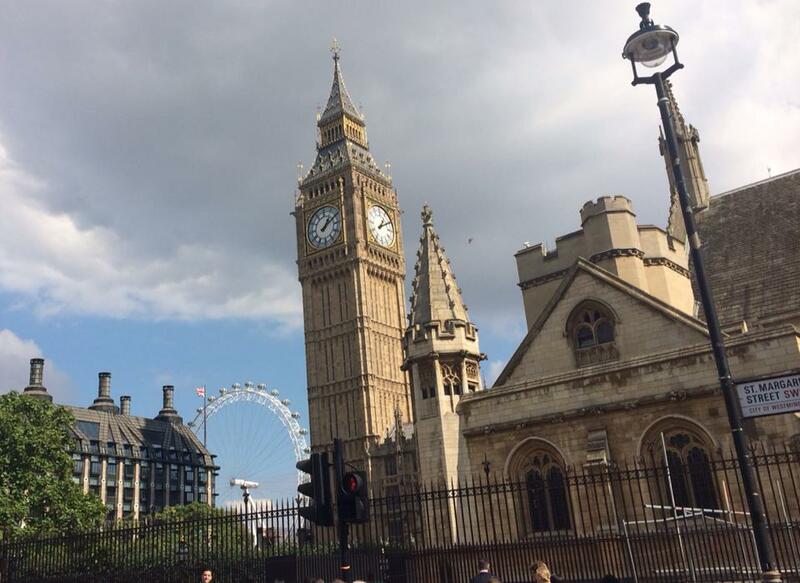 Plus, the American guy took my picture in front of Big Ben, so it was worth it. This is only the first of many adventures into this wonderful city. A bad day in London is better than a good day anywhere else. 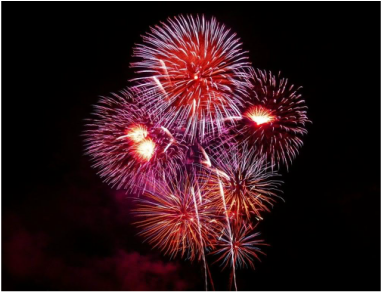 Is there anything that makes you love America more than good friends, sand in your hair, salt on your sunburned skin, and a good fireworks show on July 4th? to spend it with your friends. Yes, families have cookouts, but you don’t have to see all of your crazy aunts and uncles or slave for hours over a hot stove. Grab a Bojangles tailgate special or grill up some hotdogs and invite ALL of your friends over. The more the merrier. Friends from all walks of life get together and simply enjoy being in this great country calling ourselves “Americans.” Because that is what we all are, Americans, no matter your race, age, ethnicity, gender, sexuality, and we all get to experience the epitome of summer on this one day in July. My Fourth was spent with my work family in Wilmington, North Carolina. It’s a small town down on the coast. Wilmington and its adjacent beach, Wrightsville, are not super touristy. There is maybe one high rise hotel on the island and very few commercial beach shops. We spent our fair share of time lounging by the pool, hanging out at the beach, dancing downtown, and, as all good Americans do, drinking beer. I might have also spent a solid twenty minutes laying on my back and staring at a star in my friend's front yard. Needless to say, that was a good night. If you’re ever in Wilmington you MUST got to Kilwin’s Chocolate & Ice Cream. I religiously go there whenever I’m in town. I suggest the Toasted Coconut Ice Cream (Cappuccino Chocolate Chip and Georgia Peach are also delicious). It only has a hint of coconut in it if you’re not a big coconut person. If summer had a taste it would be a double scoop of this ice cream in a homemade waffle cone. With ice cream in tow it is almost obligatory to sit or walk by the riverfront. 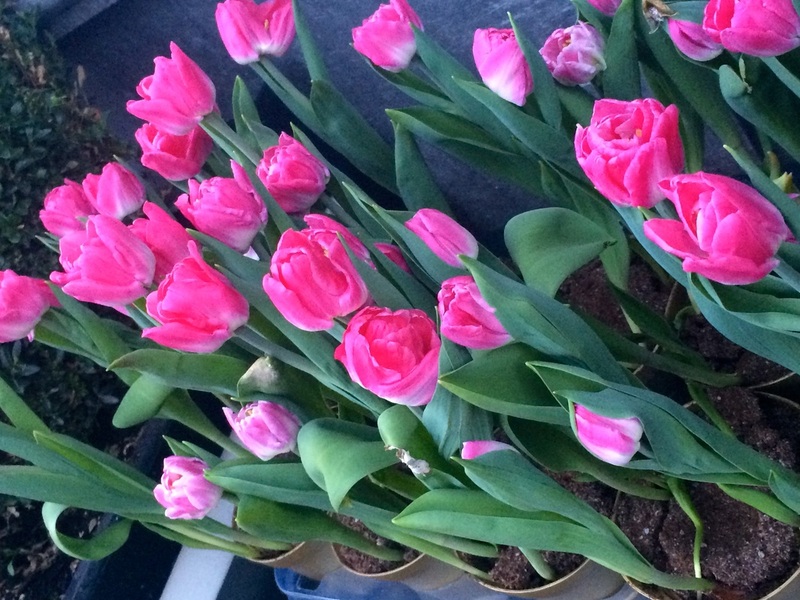 On Saturdays there is a farmer’s market by the river with beautiful fruits and handmade jewelry and earthenware. I couldn’t be more blessed to have spent several days with my Spirit Xpress family and see some college friends too. Summer time is here and the living is easy. How did you spend your Fourth? 20 Something. Traveler. Student. Adult? Follow Moriah's board 20 Something Live on Pinterest.